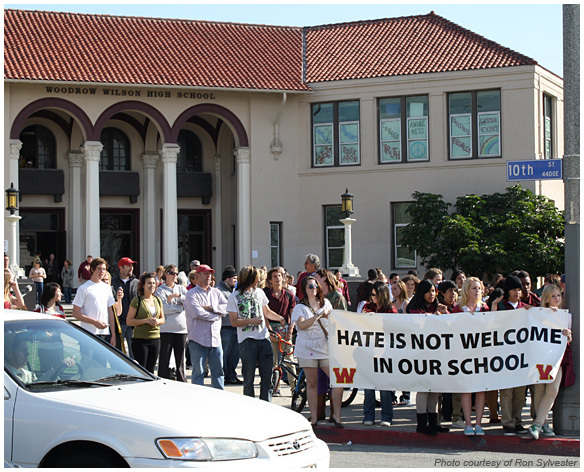 Wilson Classical High School students and community supporters staged a counter-protest recently against the Westboro Baptist Church, a group demonstrating across the street from the school. Wesboro's leaders, who travel the nation condemning people based upon their sexual orientation or religion, claim that "the Holocaust was God's work." Photo courtesy of Ron Sylvester.